It’s that time of year again, the air is getting colder and the nights are getting longer. Many of you are looking forward to crisp nights of winter camping and the possibility of snow on higher ground. Christmas is nearing also and with so much out there to choose from, we’ve put together a small list of great gift ideas for outdoorsy people in your life. Every item on the list has been thoroughly reviewed by a member of the team on real trips in the Irish hills. This lightweight down jacket is perfect for the British / Irish autumn and winter season, providing enough warmth to keep you toasty in the hills, without being impractically bulky or heavy. The Verglas is available for both men and women. It weighs just 470g for a size large and features high quality 700 fill power European goose down. 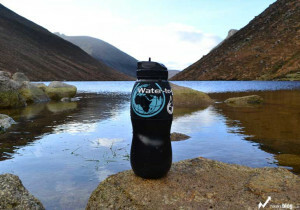 Water to go filter bottle – Great Stocking Filler! Carrying all your water for a hiking and camping trip can be one of the heaviest things in your pack. Carry much less water by filtering as you go from fresh water sources such as streams or lakes. A bargain at only 25 pounds and only 140grams in weight, it’s an ideal stocking filler. It removes 99.9% of all Contaminents. Its unique tiny pores created using nano technology, block chemicals, bacteria, viruses and suspended particles. We’ve tested it with all kinds of suspect water sources and we rarely head for the hills without one. Boil a litre of water in just over three minutes. 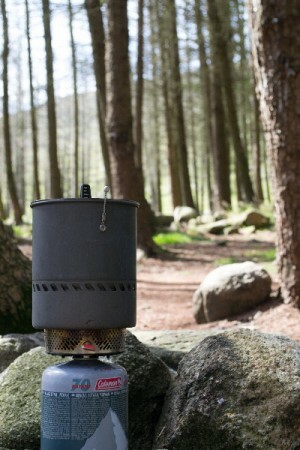 The MSR reactor is a bombproof water boiling stove designed to boil water fast, with a minimum of fuel use. Even in high winds where the Jetboil failed to reach a boil, the MSR Reactor has been our tried and trusted kettle for well over 50 nights of camping. The perfect stove choice for boiling water whatever the conditions. 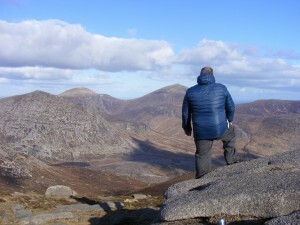 Waterproof trousers are a mainstay in Irish and British hillwalking. Rain, wind, boggy ground and snow can dampen your spirits as well as your legs and a lightweight pair of waterproofs can keep you warmer and more comfortable. Lightweight at approx 390g, the deluge trousers are barely noticeable in your pack. 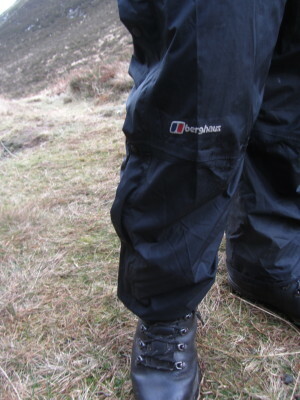 Zips allow you to layer up quickly over boots and can be used to vent the trousers preventing condensation buildup. They dry quickly once the rain subsides and are a durable long term choice. 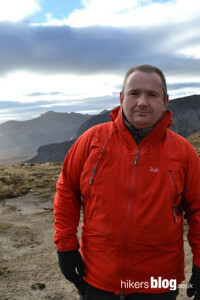 The Latok is a top of the range eVent jacket from Rab. Perfect for more active hikers, the Latok builds up less sweat vapour inside than Goretex alternatives. This jacket has excellent wind blocking capabilities, beads well and dries quickly. There’s plenty of pocket space for maps, compasses and other essentials and the hood closes up well when the weather really closes in on you. 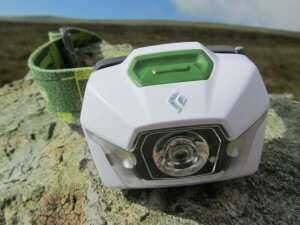 With the nights getting longer, a quality headtorch becomes a lot more important. The Black Diamond Storm is a robust, high performing option. At less than fifty pounds the storm makes a great stocking filler and it weighs very little in the rucksack at only 114 grams. The storm has a red light mode to spare your night vision, and to help avoid blinding your friends as you stand around the fire together. We hope you’ve managed to find something in the list above. If you’re still not sure, check out our Gear Reviews section where we’ve covered a wide range of kit during our trips in the mountains. Good luck!